Know what I'm good at? Words. Word games. Scrabble is my playground. But who has TIME for Scrabble anymore? The whole taking turns, waiting for someone to ponder the meaning of Q, or debate about using proper nouns... snooze fest! 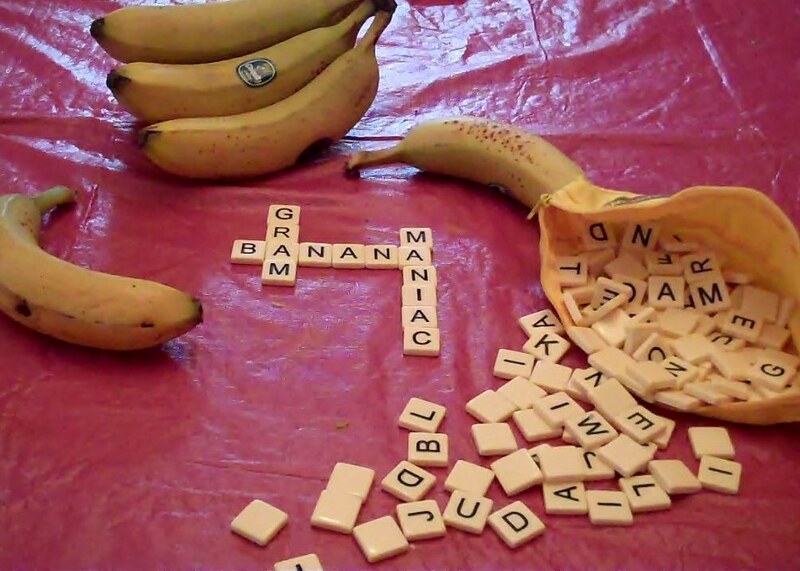 That's why my new mania is BANANAGRAMS! I honestly don't think I've ever been beaten at this game. I don't know what it is, but when those tiles spill across the table, I get into a frenzy making words, yelling "Peel" (okay, it's sad to hear everybody sigh as they have to pick another tile while I yell "Peel!" again!). But hey. Some people are good at skiing, volleyball, card games. 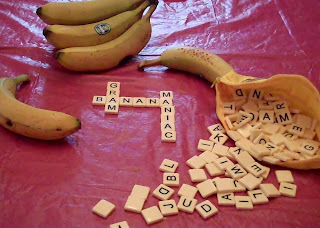 Me, I'm good at Bananagrams! It's nice to find my calling in life! What's your favorite word game? Think you can beat me?? Let's see! !